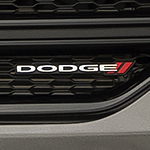 When it comes to performance, the Dodge Journey offers options that give you the best performance, including your choice of a 2.4L 16-Valve 4-cylinder engine or the award-winning 3.6L Pentastar® 6-cylinder engine. If towing is a big part of your travels, you’ll love how the Journey can tow up to 2,500 pounds, whether it’s your boat, 4-wheeler, a motorcycle or a trailer full of bicycles. There’s very little the Journey can’t do and do well.Whether you’re seriously thinking about buying an SUV or just want to car shop, we invite you to come to our Dodge showroom and take the Dodge Journey out for a test drive.